What the hell is going on? One minute they're here. The next minute they're there. And after that, there neither here, there, nor anywhere. Hey! Scott Lobdell, Angel Unzueta, and Eddy Barrows! Where the hell are the Teen Titans? What's that? If I want to know I've got to go and ask the Publisher: DC Comics, in October, 2013? Alright then. I will. Spoil sports. Using GENERAL terms, answer the following 4 questions about this STORY entitled 'Caught Up In Circles'. 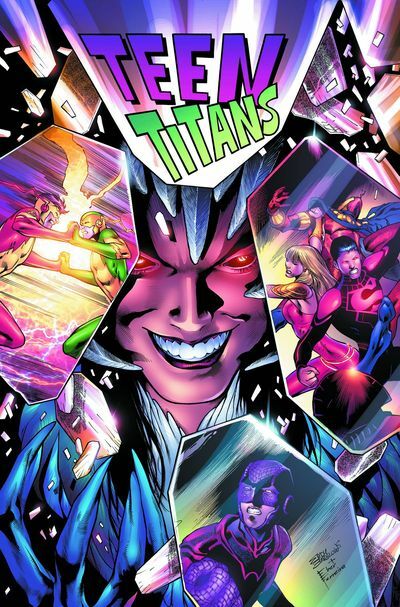 WHAT'S THE MAIN THRUST OF THIS TALE: Due to Johnny Quick's evil machinations, the Teen Titans are thrust throughout the time steam, sometimes in pairs, other times individually, fighting the good fight, until they can deduce how the hell to get themselves out of this bumbling mess. ARE THE MAIN OBJECTIVES ACHIEVED: Let's just say that Red Robin eventually cottons on that Raven is the key in solving this tempestuous predicament. That's all though. Nothing more. ANYTHING ELSE HAPPEN: Yes. I got a bloody headache. Satisfied, DC? HOW DOES THIS STORY END: With a daughter finally getting her father what they always dreamt of. ... because that's precisely what they are trying to do, right? Help people. Come what may. (+) Now didn't Angel Unzueta do very well on art duties, folks? Honestly. As soon as I clapped my eyes on his bold and dynamic illustrations, immediately I was taken by surprise on how good a job he did on this fairly so-so adventure. Please stick around, Angel. You may become a sleeper hit for the fans. (+) Something else that took me by surprise was that scene where Kid Flash and Solstice took an inadvertent trip to Bart's own origins. I mean, without giving too much away, it was rather shocking to see what Bart was actually like before he became the kid he is today. And in many ways this revelation adds an additional layer of intrigue on his developing exploits. (+) Oh! And while I'm on the subject of exploits, it was nice that Scott Lobdell didn't dig in too deep with how this issue fitted into 'Forever Evil #2'. Well. Let's face it. All we needed to know was that Johnny Quick put the team in their current situation. Nothing more. Nothing less. (+) If truth be told I'm not very sure how I feel about the ending of this escapade. A part of me is intrigued by it. A part of me thought that it came out of left field. And a part of me would rather reserve judgment for later. Simple at that. (-) Wait a minute! Are you for real, DC? All of a sudden Wonder Girl is able cold-clock Etrigan the Demon without even breaking a sweat? No way. I'm not buying this, one little bit. (-) Oh, dear. I wasn't too keen on this tale because I felt it fell into the same trap as many other time-travel-tales of its ilk. It was too mumbled in places. It was too disjointed in prose. And it was too all over the place for my own liking. Mores the pity. Better luck next time. SARAH PALIN AS RED-ROBIN: Because Tim didn't know what was going on in this adventure, I thought I might as well compare him to someone who doesn't know what's going on in real life. AMY LEE AS RAVEN: Hey! This one's a no-brainer, right? They're both Goths. They're both cute. They're both young and pretty. Plus they're both collecting souls for their evil fathers. 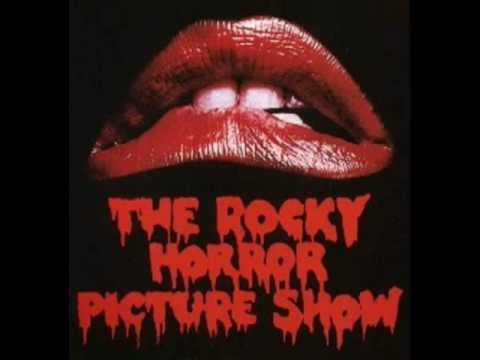 'THE TIME WARP' FROM 'THE ROCKY HORROR PICTURE SHOW': Alright. I've got to admit. I've compared this tune to this tale because I love to play this manic yet bumbling song. Rock On! Lake Shira -- a lake situated in the Russian Republic of Khakassia. Sheera -- a sweet Indian dish made from semolina and wheat. Shira -- a small river located in the Scottish Highlands. She-Ra -- the very nice lady seen in the animation series of the same name. Shira -- a novel written by the Israeli Nobel Prize Laurete, Shmuel Agnon. Charley Shira -- the former head football coach at Mississippi State University. Shira -- the name for a western peak situated at the edge of Mount Kilimanjaro. Shiira -- a web browser developed for the Mac OS X operating system. Honestly, folks. All of these examples are very-very true, and very-very valid. Just check Wiki-Wiki. However, let's not worry about this for the moment because I've got to get the hell out of here. So before I go, all I have left to say is that this issue of the 'Teen Titans' reminded me of a nauseous kid sitting on a merry-go-round. Fine at first. Dizzy at second. Before finally tumbling down onto the ground, being sick on the ground below him.